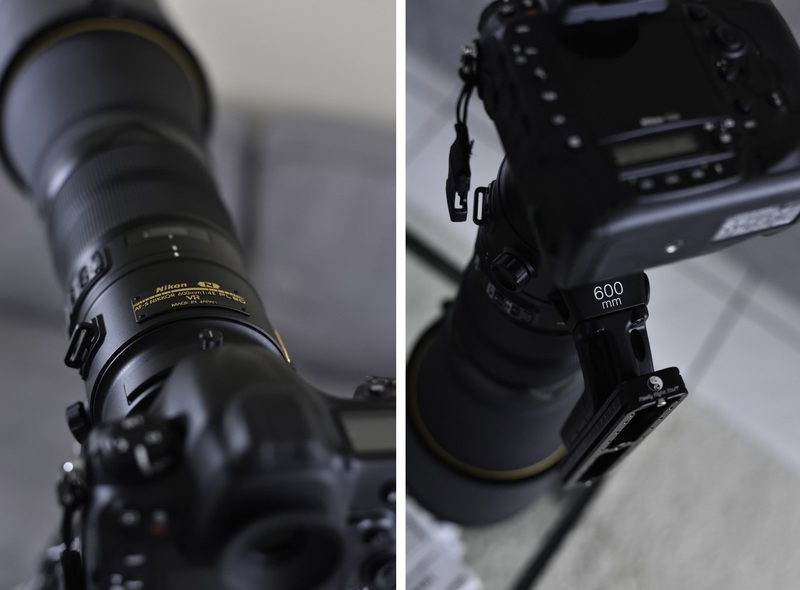 A super telephoto lens for a wildlife photographer is something like a scalpel for a surgeon, a car for a taxi driver, a computer for a programmer… well, you get the picture. Now there are super telephoto lenses in all sorts and sizes, but there are only a few that are up there in that ‘special group’. It’s a combination of image quality – and therefore price, aperture, weight, build, prime vs. zoom, etc. that define the rank within that special group. Among the very best are the primes. There are great zooms as well, but the primes are unbeatable in terms of performance/quality. I used to have a Nikon 300mm f/2.8 and I loved it. The image quality was amazing; seriously outperforming my 70-200mm f/2.8 zoom, which is already a very, very good lens. However, 300mm is too short for wildlife (from a considerable distance) so I went on to buy a Nikon 400mm f/2.8 – the ‘previous’ version (and sold my 300). Lookup on the various websites on the quality of this lens and you’ll see it’s one of the very best in the world. Absolutely amazing. However… 400mm will do nicely when you shoot relatively large animals from a not-so far distance, but anything smaller will become troublesome (as your little birdies will simply fly away…). So, most wildlife photographers will either include a 500mm or 600mm within their wider collection of glass, and if they’re very serious indeed (budgets permitting…) they’ll go for the so-called ‘fast primes’; i.e. f/4. Last year I captured a lot of grizzlies in Katmai, Alaska with a rented Nikon 500mm f/4 (I had sold my 400mm f/2.8 earlier), and every now and then I added a 1.4 extender, giving me 700mm which I stopped down to about f/7.1 for good balance between sharpness and ISO. However, I did miss shooting at f/4 which gives me better ISO and perhaps even more important, much better bokeh. So what I was missing was a prime without extender, that would give me reach and quality; ideally a lens that allows me to capture little birdies if & when I like to, but also to captures mammals from a large and relatively safe distance. The prime for this purpose is called the 600mm f/4, and the one I had my eye on for a long time was the ‘again previous’ Nikon 600 mm f/4, or to be exact: the Nikon AF-S 600mm f/4.0G VR ED. A couple of weeks ago I made the decision: I was going to buy this lens for my wildlife photography. 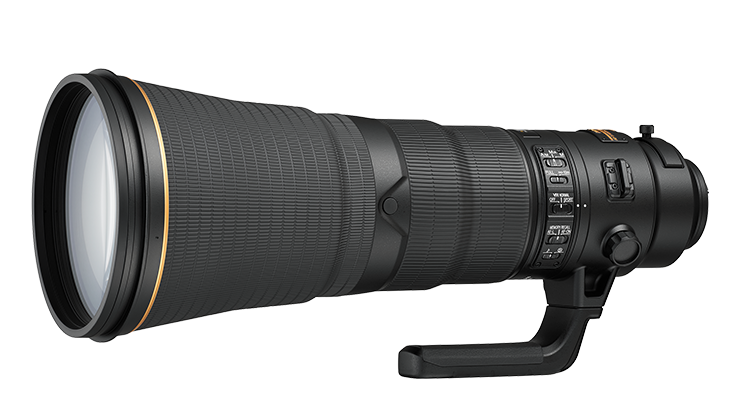 Not more than 2 days later after making my decision, I read Nikon would be releasing their – finally – upgraded version of this lens and the 500mm one, in the same line as their latest 400mm and 800mm fluorite lenses. Given it takes Nikon about 8 years (or more) to upgrade these lenses, I decided to wait just a couple of weeks more, prepare myself even better for the highly unpleasant gap in my bank account this purchase would leave, and place the order with my local camera retailer, who happens to obtain the latest Nikon equipment first in line. So only after 2 days after its global release date, I was at my local retailer looking at (what I think was) the very first Nikon AF-S 600mm f/4.0 FL ED VR prime lens in The Netherlands. And yes, at the price of a nice middle-class car. Nikon has greatly improved the foot which now has a nice rubber piece on top. However, for whatever reason Nikon is still not using the Arca-Swiss style plates, so if you want to focus on weight reduction of your overall kit (believe me, you do) you’re looking at replacing the foot with one that does follow the de facto Arca-Swiss standard. My personal favorite (and I’m not getting paid by them) has been for years Really Right Stuff. The stuff these guys (m/f) make is basically, ‘really right’! They already came out with a lens plate for the Nikon 800mm f/5.6 FL which then also was a fit on the 400mm f/2.8 FL model. So I though by myself: “no guts, no glory!” and I ordered the Really Right Stuff LCF-17 assuming it would also fit on the new 600mm f/4 FL. When you compare the two, you can see the RRS LCF-17 is built ‘smarter’; i.e. less weight while able to carry the same/similar load. AND the LCF-17 is already Arca-Swiss-compliant so should fit straight on your ball or gimbal head without having to add an additional plate between the Nikon standard one and your tripod head. The standard Nikon foot is easy to replace and the RRS LCF-17 does indeed fit perfectly! I will actually use the 600mm on my Wimberley gimbal head rather than my RRS ball head while in the field, but the picture below gives a good impression of the new Nikon AF-S 600mm f/4E FL ED VR lens, attached to a Nikon D4s, a Really Right Stuff LCF-17 lens plate and a Really Right Stuff ball head. 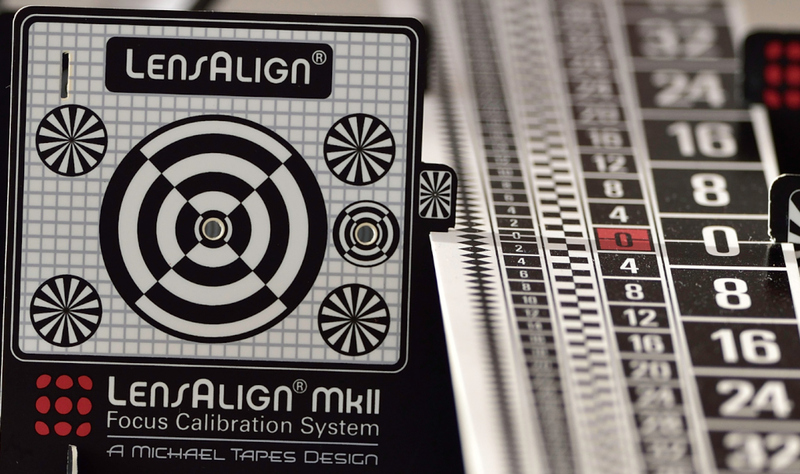 Next steps… align before you align! So what’s next? 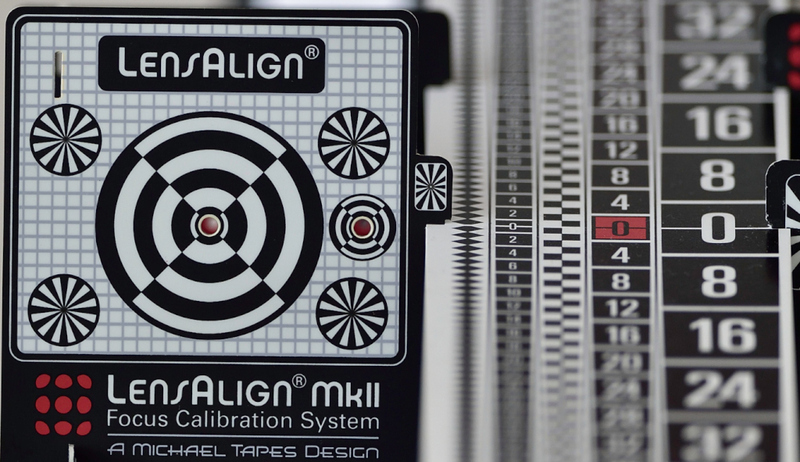 Actually, a lot, but let’s start with my favorite topic… lens alignment and focus! As you may have read in my previous posts, I have not been lucky with Nikon’s D800(E)/810 DSLRs. I think there must be a curse somehow/somewhere in that any sample I get my hands on, is simply out of focus. That is, the dreaded left/right focus points are out of focus when I test them. My Nikon D4s is fine, my Nikon D4 was fine, my Nikon D3s was fine, my Nikon D750 is fine, my Nikon D610 was fine. All fine. Except the Nikon D800(E)/810. Very expensive cameras with flaws. Nikon could hire me and I will pick out all their flawed D800(E)/810 copies…simply by touching them. 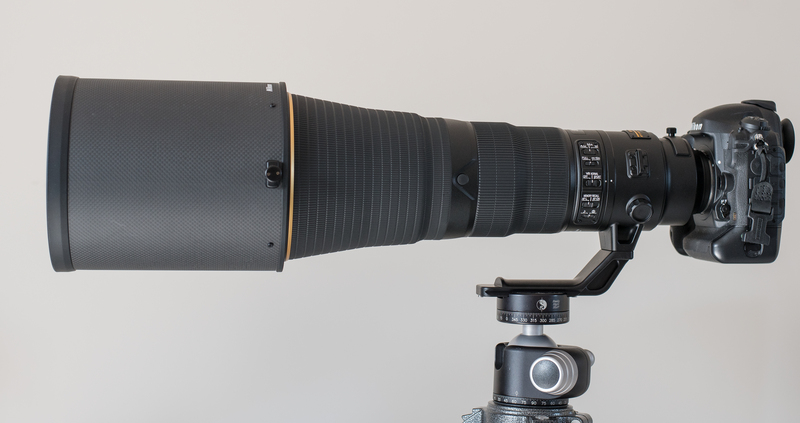 So moving along to the new Nikon AF-S 600mm f/4E FL ED VR lens: surely this >10K lens will not have any flaws, right? It was time for my nice little LensAlign kit, attached to my D4s, take a couple of shots, and check the results. And… we have a winner! It’s as perfect as can be. Now this was taken at about 4.5 meters and I could try again at let’s say 15 or 25 meters, but I’m quite confident Nikon has manufactured a high-quality product here. In fact, I have taken a lot of test shots at around 50 meters and they are all dead-sharp. More on that in a moment. You would typically want something that has cost you more than 10K (Euros or Dollars, not much difference anymore these days) and is brand new, to stay looking brand new in the years to come. Fortunately, another high-quality solution is available: LensCoat. I’ve been using LensCoat products for years now (and no, I’m not getting paid by them either), for example on my 70-200mm f/2.8 zoom and their ‘LegCoat’ on my Gitzo tripod which makes it much more comfortable to carry on your shoulders when walking long distances. 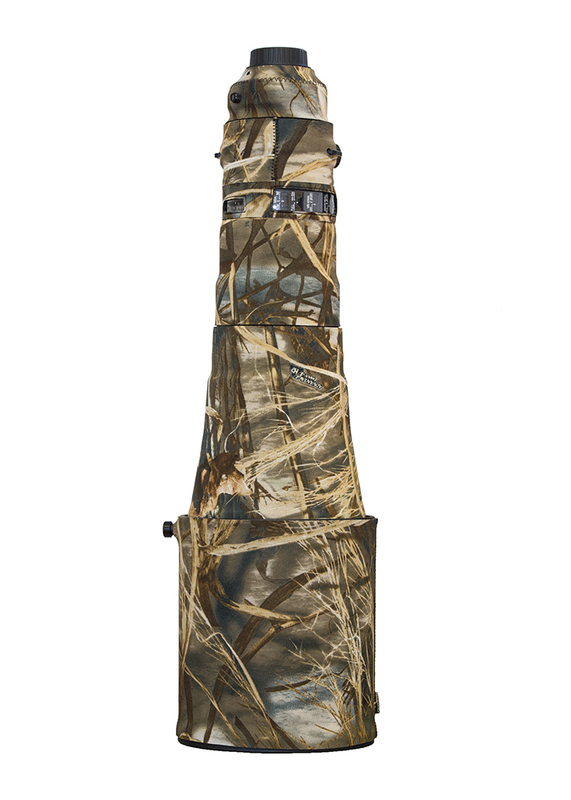 So, all that is needed is LensCoat’s latest addition to their product line: a LensCoat lens cover for the latest Nikon AF-S 600mm f/4E FL ED VR lens! Ehh Houston, there’s just one small problem: it’s not there – yet (at the time of this blog’s writing: July 30, 2015). 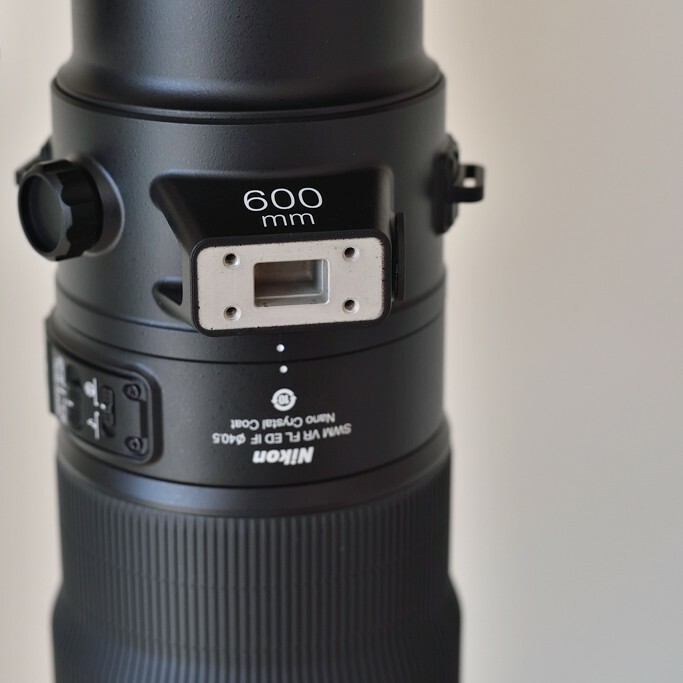 The 600mm FL is so new, LensCoat is only just starting the manufacturing process and the only sample lens covers they have are the hand-made/prototype ones shown on their website. And as I expect to use the 600mm FL (very) soon & often, I reached out to LensCoat for advice. Sample 1: Heron on the lookout on a sunny afternoon, Oostvaardersplassen, Netherlands. D4s, AF-S 600mm f/4E FL ED VR @ f/4, 1/1000 s. ISO 160. VR ON, hand-held @ app. 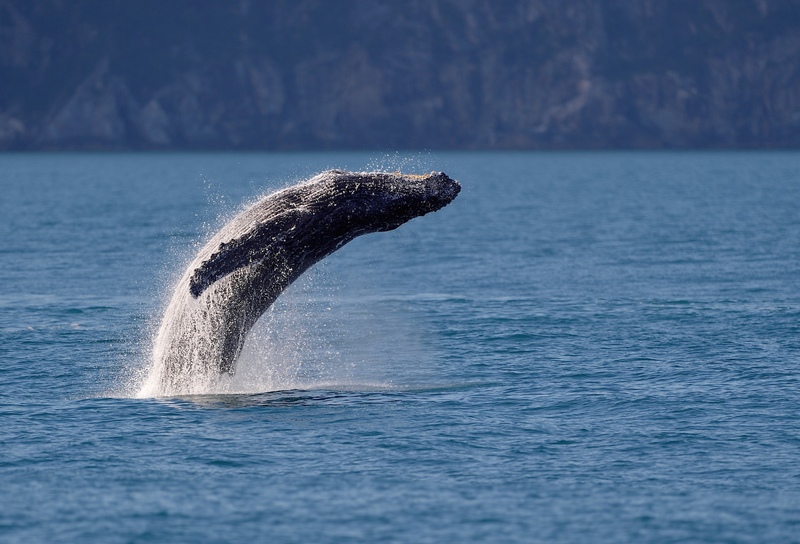 50 m.
Sample 2: Jumping humpback whale, Aialik Bay, Alaska. D4s, AF-S 600mm f/4E FL ED VR @ f/4, 1/2000 s. ISO 140, VR ON, hand-held. Sample 3: Relaxing sea otter, Resurrection Bay, Alaska. D4s, AF-S 600mm f/4E FL ED VR @ f/4, 1/1250 s. ISO 2500, VR ON, hand-held. In part 2 of my review of the new Nikon AF-S 600mm f/4E FL ED VR lens I will focus on the ‘real-life’ experiences; e.g. key considerations & lessons learned, do’s and don’ts etc. (around 3rd/4th week of August 2015).